What can we take away from these intractable discussions on international financing of climate change actions? Principally that if our focus is to campaign solely for ‘public finance’ from funds that pass through national treasuries we may be some time. Campaigns for greater official development assistance (overseas aid) have won significant ground but still very few OECD countries (I’m short of time, but if you’re curious check the OECD Development Assistance Committee’s data) have ever reached the target 0.7 per cent of national wealth. 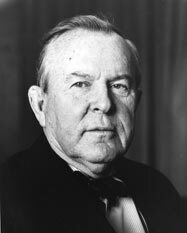 This was mooted by the Pearson Commission (the picture above is of Lester B. Pearson, its chair) as long ago as 1968 and was recommended only as an iterim target to be achieved by 1975 en route to ODA levels 1.0 per cent. Arguments for ODA have largely focussed on morality, but in the end the decision for governments comes down to a simple equation: ODA levels = estimate of acceptability with voters and taxpayers + the degree to which it serves the national interest of donors (for instance, aid flows rose during the cold war and fell dramatically afterwards). The same politics bedevil climate assistance. As an aside, one approach that I failed to mention in the previous post on finance is the use of borrowing. In the current climate noone is going to pretend the politics of using debt to finance climate investments – either domestically or overseas – are going to be straightforward, but it’s a debate worth having and we intend to pursue it on this blog.